Ever fancied a nibble on Benedict Cumberbatch? Now's your chance. 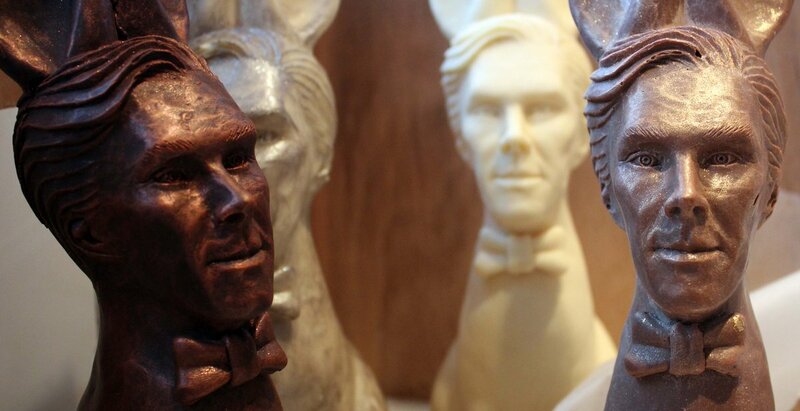 A Brighton chocolatier has immortalised the Sherlock star in a chocolate bunny hybrid for Easter. For £50, a 400g Cumberbunny can be yours in white, milk or dark chocolate. They're described on the Chocolatician website as "a delicious Belgian chocolate rabbit with a handsome face and a tasty bottom". Even though he's wearing bunny ears and is placed on a rabbit's torso, the dapper detective still appears with a bow tie, which comes in edible 22-carat gold in the white chocolate version. "I’m planning to send one over to his mum but not him," she told Mashable. "He might think it’s weird eating his own face."